• Australian Eucalyptus Honeys: River Red Gum, Blue Gum, Messmate and so many others. 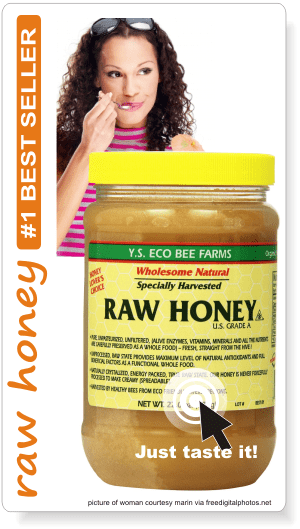 • Buckwheat honey – the most powerful antioxidant honey! There are several classifications of honeys according to: botanical origin (floral or plant source), blossom variety, geographical/topographical region, production, processing procedure, type of bees. A) According to their botanical origin, honeys can be made from blossom’s nectar or honeydew. The nectar is secreted in the flower nectary. It’s a sugar solution, with concentrations between 5 and 80 %. For bees, the value of the plant is given by the sugar amount secreted by plants. 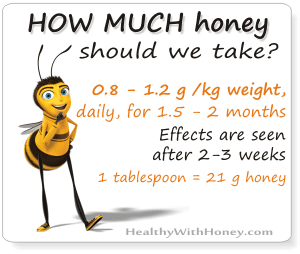 Bee prefer nectar with higher sugar content, around 50%, and will not forage if it’s below 5%. – humidity: when humidity is higher, the nectar quantity is higher but – the sugar concentration is smaller. – season: sun has a powerful influence on flowers’ blossom and hence on their pollen. There are plant-sucking insects, like Hemiptera, mostly aphids (see picture) that pierce the foliage or other parts of a plant and feed themselves on the sap. The ingested sap passes through their gut and the surplus is excreted as droplets of heneydew. These droplets will be gathered by the bees. Honeydew is produced on trees, especially coniferous, but also on cotton, lucerne (alfalfa), sunflower. Honeydew has different sugar concentration, varying from 5 to 60%, containing mainly sucrose and higher sugars like oligosaccharides and other amounts of amino acids, pproteins, minerals, acids, vitamins. In addition, honeydew has cells of algae and fungi. The bees collect the droplets, add enzymes from their hypopharengeal glands and carry them with their sacs to the colony. There, it follows the same cycle as with nectar. Read here How Is Honey Made. The honeydew flow also depends on the weather conditions. Honeydew honeys are not as sweet as nectar honeys, have a very dark brown color, and rarely crystallizes. There are very well known places in the world with a great production of honeydew: Germany’s Black Forest, Tara Mountain in Serbia, Northern California, Italy (see Metcalfa honey), Greece (famous for its pine honey), Romania, New Zealand (beechwood honey). B) According to the blossom type, there are monofloral honeys and polyfloral honeys. There is a big variety of flowers and thus a honey cannot be completely the same as another. Yet, we can classify honey made from one type of flower, but as there are so many, most of them have only a local/regional significance. In Europe there are more than 100 plant species producing unifloral honey. But there are also some honeys that are widely known and commercialized like linden, (similar all over the world) and acacia (Robinia pseudocacia), fir and pine honey. The price of this type of honey is lower, due to the more easier way of producing it. It combines the pollen from different flowers resulting in a honey with richer taste and wider therapeutic use. There are unifloral regional honeys everywhere with local significance. – Extracted honey, obtained by centrifuging decapped combs (Of course, broodless). This is the way most honey is made. – Presses honey, obtained by pressing the combs. – Drained honey, obtained by draining decapped combs. – Strained honey, obtained by passing it through a mesh material to remove particulate material (pieces of wax, propolis, other defects) without removing pollen, minerals or enzymes. Generally this is how organic honey is processed. – Pasteurized honey, a process in which honey is heated at temperatures of 161 °F (72 °C) or higher. Pasteurization destroys yeast cells and also liquefies any microcrystals in the honey, thus delaying crystallization. 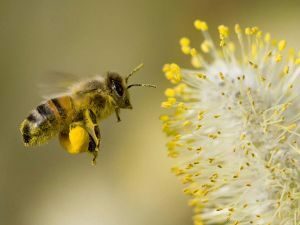 However, excessive heat deteriorates the honey by reducing and increasing the level of a toxin called hydroxymethylfurfural. Heat also darkens the natural honey color, and modifies taste and fragrance. – Filtered honey. The filtration process intends to remove all or most of the fine particles, pollen grains, air bubbles, or other materials normally found in suspension. To do this the honey is heated to 150–170 °F (66–77 °C) so that it can pass through the filter. Filtered honey is very clear and doesn’t crystallize as quickly, making it perfect for supermarket shelves. This is the reason we can all read of its label “pure honey” or “clear honey”. 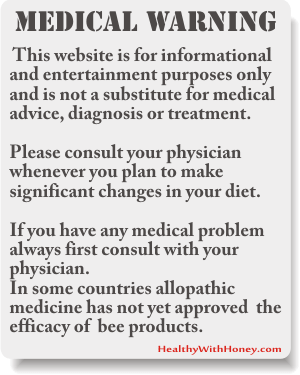 – Ultrasonicated honey. This represents an alternative to pasteurization, without the heat procedure. The yeast cells are destroyed and prevents honey from crystallization. – Creamed honey: also called whipped honey, spun honey, churned honey, candied honey, honey fondant, and set honey (in the UK), has been processed so that it won’t crystallize. It also results in a honey with a smooth, spreadable consistency. – Dried honey. It’s a honey without any moisture,in a completely solid, nonsticky granules. It also uses additives like the anticaking agents (also used in table salt). 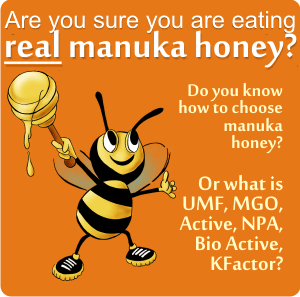 · What is organic honey? 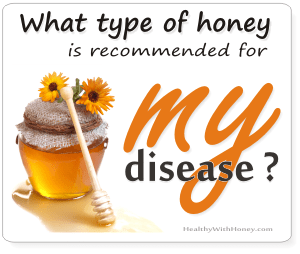 · What is the difference between pure honey and raw honey? – Normal Honey, honey in a liquid or/and crystallized state. – Comb honey, honey stored and sold in sealed whole combs. Almost all the honey commercialized on our markets are honey made by Apis Mellifera. This is the European honey bee species (the latest news say it actually originates from Africa!). There are countries where other types of beed, make also very good honey. 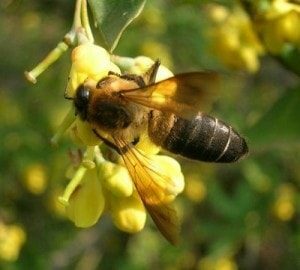 – In China there are some bees from Apis Cerana and the honey is produced in large quantities, and the honey is similar to that produced by the well-known Apis Mellifera. – In tropical Asia, there are 3 Apis species producing honey: Apis cerana, Apis Dorsata, Apis Florae. – Honey produced by a species of stingless bees, called Meliponae, mainly in Africa, Middle and South America an Oceania. Compared to the regular honey, this honey has a higher water content, acidity and electrical conductivity, a lower diastase activity and sugar content. Also a high healing power. – Apis Laboriosa (see picture), the giant Himalayan bee (the largest social bee in the world) The combs’ cells are five to ten times longer than those of our Apis mellifera, which measure barely more than half an inch. They say only 7 stings are fatal. We we want buy organic thyme honey in Drums of 300 kg.